Hindu extremists have once again threatened to stop the concert of Pakistani singer Ghulam Ali in India while Indian PM Modi will also participate in this concert. 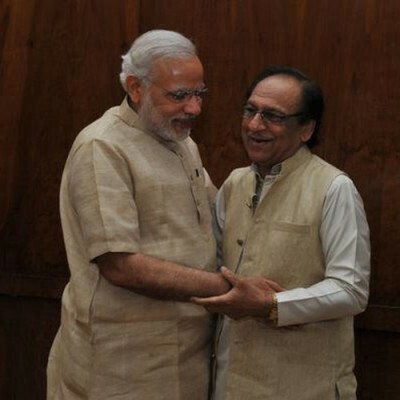 Pakistani singer Ghulam Ali will perform in the inauguration ceremony of Annual Music Concert in Modi constituency Banaras but Modi’s allies Shiv Sena could not accept the performance of a Pakistani singer in Hindu temple. Shiv Sena has threatened that they will not allow this performance to held. Pakistani high commissioner Abdul Basit and Bollywood actor Amitabh Bachchan are also invited in this ceremony alongside PM Modi. On the other hand, Ghulam Ali was also awarded from Hanumant Award by a Hindu trust for his services to music while 10 protesting activists of Shiv Sena were arrested during the occasion.